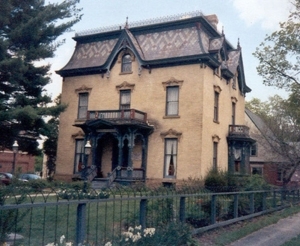 The Gardner House was built around 1875 by an Albion hardware merchant, Augustus P. Gardner, who came to Michigan from New York in 1837 as a young man. He lived in this Victorian brick house until his death in 1905. The Albion Historical Society purchased the Gardner House in May 1966 from the City of Albion, Library Board, and turned it into a museum. The Albion Historical Society received an award of Merit from the American Association for State and Local History in 1969 for this Museum. In 1971, it was placed on the National Register of Historical Places. The Gardner House Museum is handicap-accessible on the first floor only. 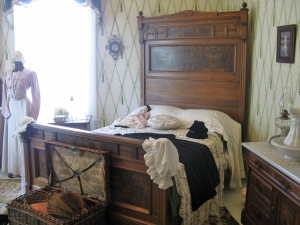 On the second floor see the antique beds and clothing in the Victorian bedroom as well as the Victorian bathroom. 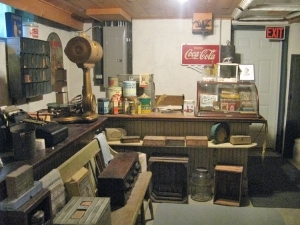 There are also two special exhibit rooms that are changed periodically. Currently one of the exhibit rooms displays World War II photographs and memorabilia of area veterans including three Albion residents who were Tuskegee Airmen. The other exhibit room highlights the history of the Albion Malleable Iron Company which began in 1888. The Gardner House Museum is located on M-99, at the south end of Albion's Superior Street Historic District. DIRECTIONS: Take I-94, exit 121 (Albion exit). Turn right (head south) on I-94 BR/N. Eaton St. Turn left onto Austin Ave./I-94 BR. Turn right onto N. Superior St./I-94 BR. Continue to follow N. Superior St. The Museum, 509 S. Superior St., is on your left. 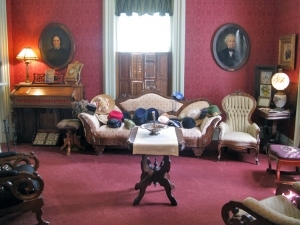 The Gardner House Museum is open Saturdays and Sundays 2-4 pm, Mother’s Day Weekend through the end of September. It is also open by appointment for tours to groups, such as churches, civic organizations, schools and clubs.